Since Monday, December 8, letters containing a note and suspicious white powder have been received by the offices of more than 40 governors across the country. 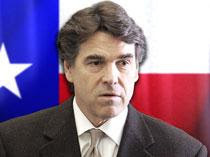 I believe Texas Governor Rick Perry was the first to receive such a letter - but they are all mailed from Texas. Additional letters have been received at several U.S. Embassies overseas. The white powder in each of these letters has been field screened and the tests have met with negative results. The powder has been forwarded to local laboratories and testing to date has been negative for biological agents. Here is a wise statement from the FBI: The FBI has contacted the governors' offices and the State Department to be on the lookout for additional letters. You think? The postmarks reflect mailing on December 4, December 8, or December 11, 2008. The postmark is either "Dallas, Texas" or "North Texas". The "North Texas" postmark reflects the envelope was processed through the mail facility in Coppell, Texas, a suburb of Dallas. The return addresses used have been one of four addresses for FBI offices in Dallas, San Antonio, Houston, and El Paso, Texas. There is a note within the envelope. The content of that note has been the same in each mailing. Although the content of the note is not being disclosed at this time, the meaning of the message is not clear.